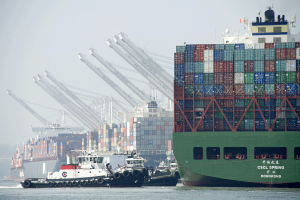 From 2012 to 2016 helped 756 California exporters with a value of $15 billion. 75% of exporters helped in California in 2016 were small businesses. In the last decade, Ex-Im has supported more than 1.7 million American jobs in all 50 states. The Export-Import Bank of the United States (Ex-Im Bank) is the official credit export agency of the United States. 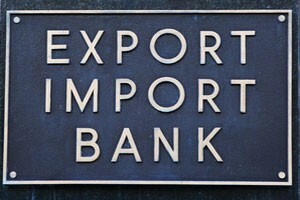 The Ex-Im Bank’s mission is to assist in financing the export of U.S. goods and services to international markets. The bank enables U.S. companies—large and small—to turn export opportunities into real sales that help to maintain and create U.S. jobs and contribute to a stronger national economy. Ex-Im Bank does not compete with private sector lenders but provides export financing products that fill gaps in trade financing. The bank assumes credit and country risks that the private sector is unable or unwilling to accept. The bank also helps to level the playing field for U.S. exporters by matching the financing that other governments provide to their exporters. Ex-Im Bank provides working capital guarantees (pre-export financing); export credit insurance; and loan guarantees and direct loans (buyer financing). No transaction is too large or too small. With more than 80 years of experience, Ex-Im Bank has supported almost $600 billion of U.S. exports, primarily to developing markets worldwide. In addition to supporting U.S. jobs, the Ex-Im Bank is a self-sustaining agency that operates at no net cost to the taxpayers. Ex-Im Bank pays for itself by charging fees or interest to its customers for loans, credit insurance and loan guarantees that they receive. In fiscal year 2017, the Ex-Im Bank has generated more than $118 million in excess revenue for U.S. taxpayers. The Ex-Im Bank has a proven record of success, and the myths questioning its need and effectiveness have no basis in fact. Far from being a burden on the taxpayer, the Ex-Im Bank turns a profit for the U.S. taxpayer. Nor does Ex-Im Bank help only big business. In fact, small businesses account for the majority of the Ex-Im Bank’s transactions; further, these small business transaction figures are in addition to the tens of thousands of small and medium-sized businesses that supply goods and services to large exporters. 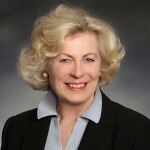 President Donald J. Trump has made nominations to the Ex-Im Bank Board in order to restore the bank’s quorum, including nominating Kimberly Reed to serve as president/chair of the bank. In 2017, the bank authorized more than $3.4 billion of short-term export credit and working capital guarantees, $2.2 billion of which was for small businesses, to support an estimated $7.4 billion of U.S. exports and an estimated 40,000 jobs. The California Chamber of Commerce is hopeful that the U.S. Senate will confirm President Trump’s nominations to the Ex-Im Bank Board, including the President/Chair of the Bank, to restore the Ex-Im Bank to a full quorum as quickly as possible in 2019. The charter for the Ex-Im Bank will once again run out in September 2019. It is hoped that Congress and President Trump will support legislation extending the charter. Failure to reauthorize the Ex-Im Bank will amount to unilateral disarmament in the face of other nations’ aggressive trade finance programs, putting billions of dollars in U.S. exports and thousands of U.S. jobs at risk. The Ex-Im Bank Board has lacked a quorum since 2016; without a quorum, the bank cannot approve transactions of more than $10 million. This represents numerous lost opportunities for U.S. businesses and their workers. The bank’s inability to approve transactions exceeding $10 million extends the profound impact of the lapse to larger exporters, the thousands of smaller companies that supply them, and the hundreds of thousands of workers whose jobs depend on exports. Effects on U.S. businesses and workers from a lack of domestic political support for Ex-Im are exacerbated by the extraordinary steps other countries are taking to support their own exporters and national interests. Export credit agencies (ECAs) abroad are expanding product offerings allowing exporters to compete more aggressively, and more countries are opening new ECAs of their own. Moreover, the hundreds of workers at large businesses are not the only ones affected by lost U.S. export transactions; there are strong ripple effects on the many small and medium-sized enterprises throughout their supply chains. The United States is home to some of the largest supply chains in the world. Sales and employees in these supply chains depend on exports of larger clients, financed by Ex-Im. Uncertainty for large clients means diminished purchasing, which means fewer sales and has a direct impact on jobs in cities and towns across the country.